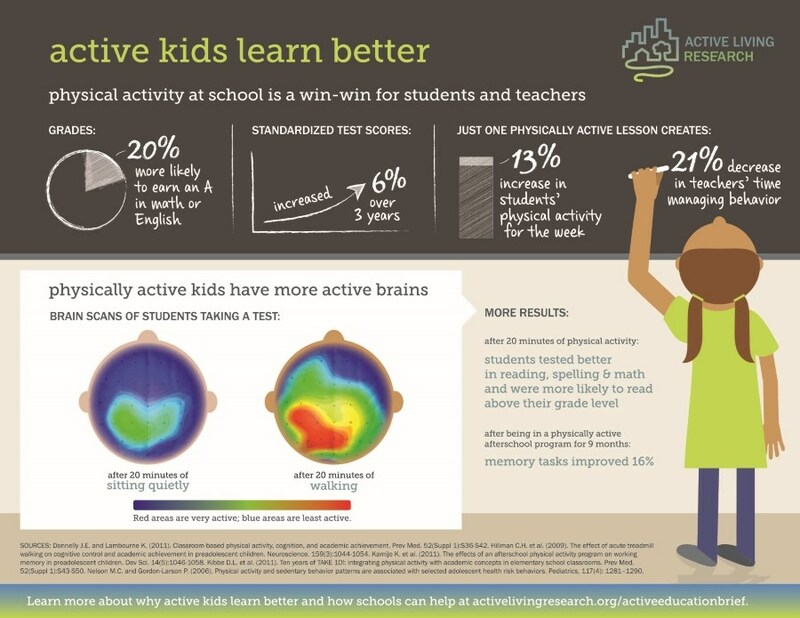 Active Academics Short 5-10 min activities to get kids moving while practicing academic subjects. Adventures in Fitness Animated interactive action episodes that promote exercising, learning, and laughing! Energizers Classroom-based physical activities that integrate physical activity with academic concepts. Go Noodle A website with videos to promote phyisical activity. Teach Train Love A teacher's blog with a link to active classroom activities and much more. 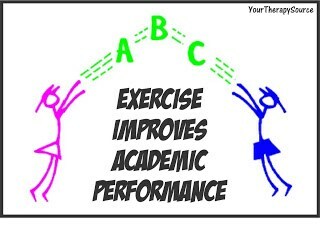 ABC for Fitness Short physical activities that energize the brain and support academic learning. Activity Bank Instructions for thirty different physical movements to be used during indoor fitness breaks. Energizers K-2 Classroom-based physical activities integrate physical activity with academic concepts. Mind and Body Activities for the Elementary Classroom from the Montana Office of Public Instruction. Movement Bank List of movements to be used during classroom activities. 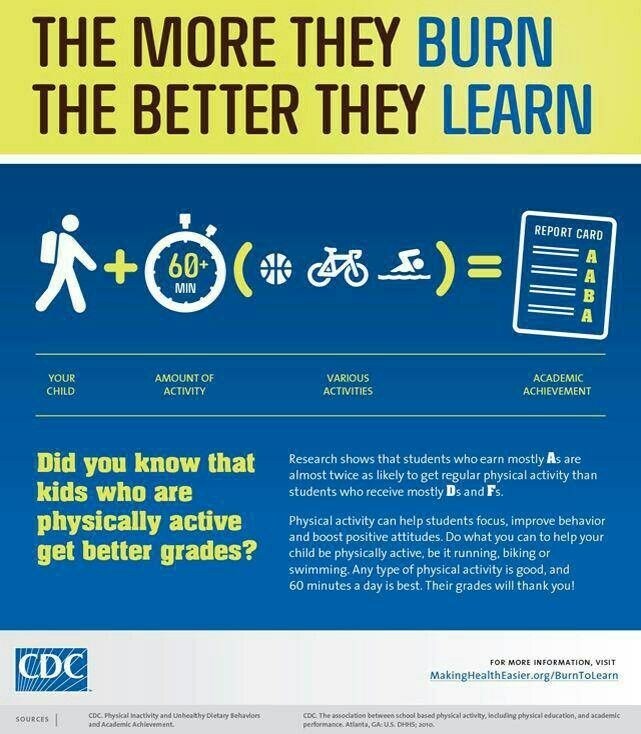 Helpful Hints 10 ideas for creating a physically active classroom. Classroom Floor Plans Suggested floor plans to promote a physically active classroom. 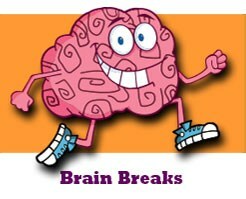 Managing Brain Breaks Teach Train Love video with suggestions to help manage transitions (3 minute).